Over the past week, several of our NIST students have competed in both national and international tournaments in their respective sports, earning not only top placings, but also the chance to advance further to even more notable opportunities. As a school, we strongly believe in inspiring students to pursue their passions and excel as individuals and as a part of the greater community. We’re delighted that these students, as well as many others, have achieved so much while balancing their dedication with their studies. On the international stage, Victor Salmon in Year 12 has developed a reputation as being one of the world’s best young wakeboarders. 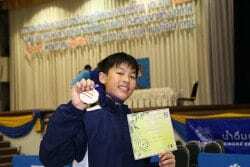 Having begun the sport at a very young age, he has steadily improved throughout his time at NIST, building experience at competitions in Thailand and abroad before turning pro in 2014. In the time since, he has earned top finishes in events across Germany, France, Denmark and the UK. 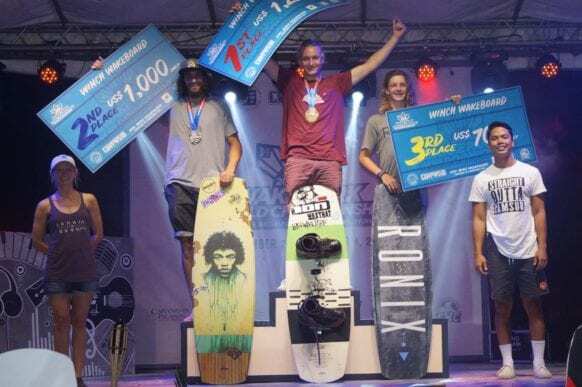 This past weekend he competed at the 2017 World Wakeboard Association (WWA) Wake Park World Championship, held at Camsur Watersports Complex in the Philippines. Many of the best wakeboarders in the world participated, including Oli Derome, Aaron Gunn, Guenther Oka and others well known in the sport, yet Victor topped his previous accomplishments with top five placings in traditional wakeboard, wakeskate and pro features. Even more impressively, he netted the gold medal in the winch, a relatively new addition to the sport that is becoming increasingly popular. 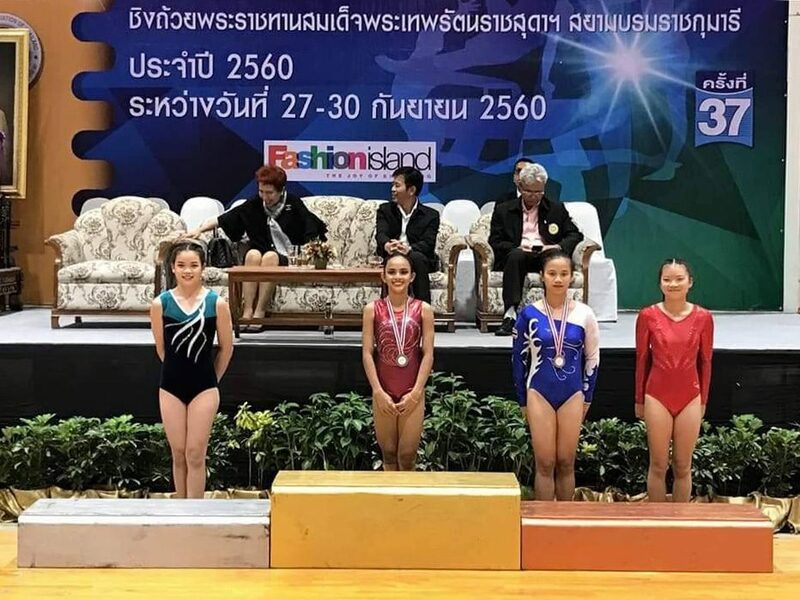 Meanwhile, three lady Falcons demonstrated just how strong their commitment is at the Thailand National Gymnastics Championship, held from 27 to 30 September at the Fashion Island Shopping Center. When it comes to the physical demands of gymnastics, there is no substitute for dedication, commitment, training and a desire to perform at the highest levels of the sport. NIST gymnasts exemplify all of these attributes and more. 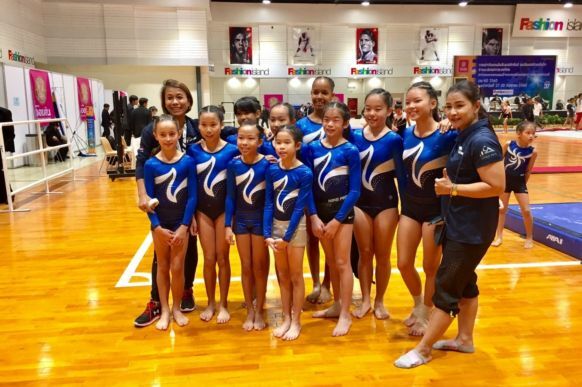 Facing off against many of the country’s best gymnasts, 11 members of the NIST Falcons Gymnastics Team joined the competition: Hannelore Boone, Kadidja Djombana, Paris Ingpochai, Rei Isaka, Ayaka Kobayashi, Praan Kulnides, Maia Rankine-Griffith, Neine Reancharoensuk, Ninnin Reancharoensuk, Jasmine Tantiuvanont and Alyssa Thai. 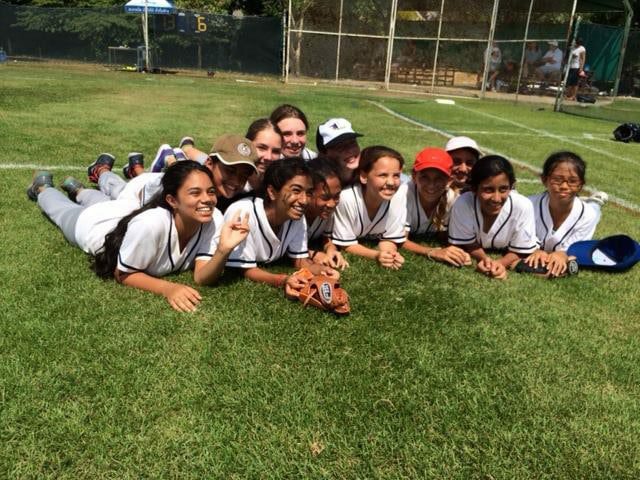 Their performances as a whole provided strong evidence of the excellent training they have received under NIST’s in-house staff of professional coaches, as well as the school’s new facilities dedicated to the sport. 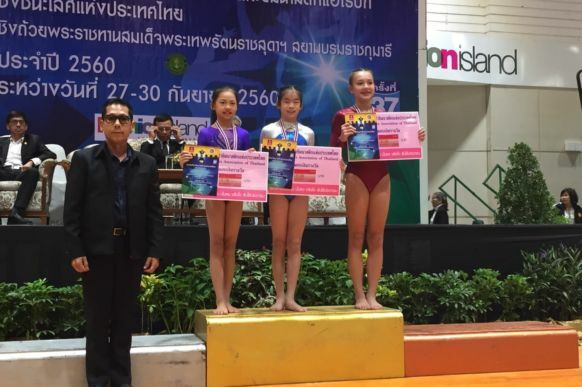 While all of the Falcons gymnasts excelled at the competition, three in particular earned impressive accolades by the final day. 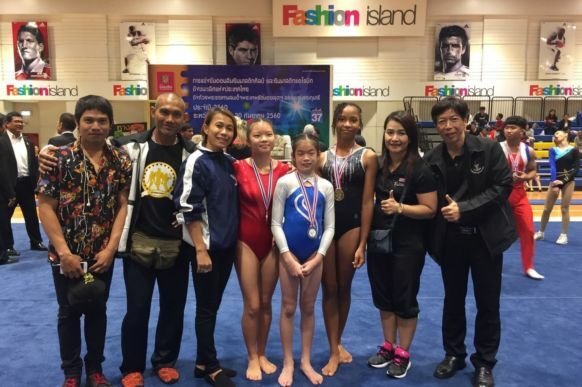 Ninnin Reancharoensuk (Year 8) earned a first place finish on the beam event in the under-15 group, and Maia Rankine-Griffith (Year 10) placed second in the vault and seized a second gold for the Falcons in her floor routine in the under-15 group. 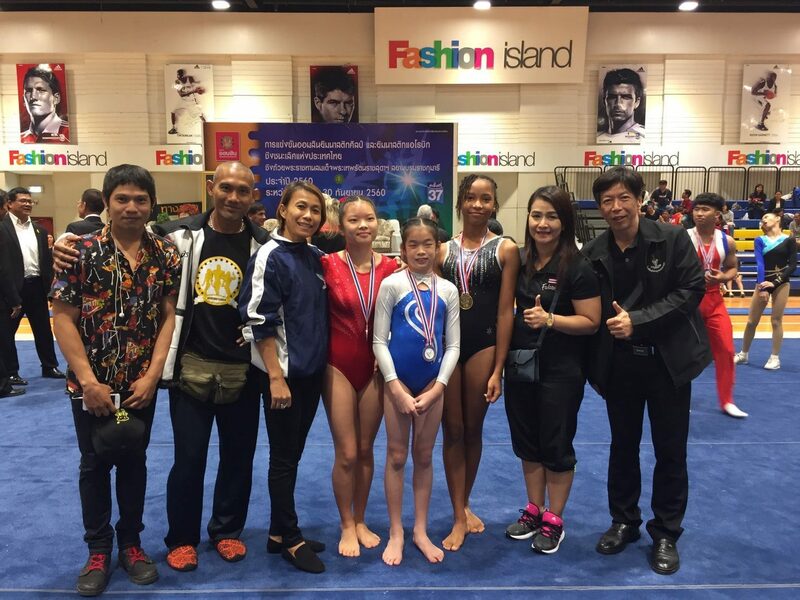 The biggest moment came for Jasmine Tantiuvanont (Year 10) in the over-15 group, who achieved third place in both the bar and floor routine events. 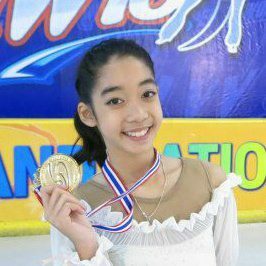 Given the strength of her performance, she had the honor of being selected as one of only eleven gymnasts to join the Road to Tokyo Training Camp, intended to prepare high-performing gymnasts for the upcoming Southeast Asia Games and Tokyo Olympics in 2020. As a school, we cannot be more delighted with the results that our young athletes have achieved. Success in any sport requires patience, resolve and immense responsibility. To see our Falcons achieve excellence to this degree serves as an even stronger testament to their character and ability to persevere. Congratulations! On Saturday, 4 February the Battle in Bangkok: Starstruck Thailand Vex Robotics Competition was hosted at NIST International School, with teams from NIST, International School Bangkok and Thai-Chinese International School all competing for a place at the world event. The NIST Falcons secured the Excellence Award, qualifying them for the VEX Robotics World Championship, the culminating event of the season, held in April, with the top teams from across the United States and around the world who seek to become world champions. 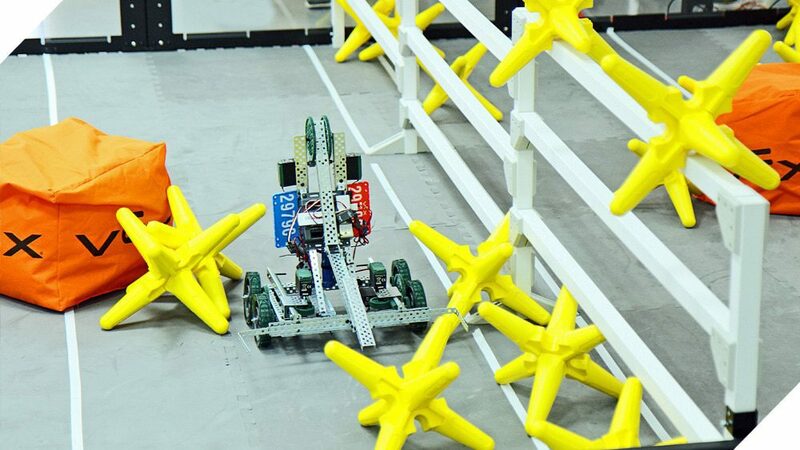 To prepare for the competition, the NIST team worked together to design and build a robot using VEX EDR that could quickly and efficiently solve specific obstacles and challenges that come with playing the VEX Robotics Competition Starstruck game. Each week, the students apply what they’ve learned about science, technology, engineering and math in order to build the semiautonomous machines. An equally important set of skills is learned through the competition: communication, project management, site management and the importance of composure, as they have to learn how to lose as much as they have to learn how to win. The Battle in Bangkok: Starstruck Thailand is one of a series of VEX Robotics Competitions taking place internationally throughout the year. The VEX Robotics Competition is the world’s fastest growing competitive robotics program for middle schools, high schools and colleges around the world, with more than 16,000 teams from 40 countries that participate in more than 1,300 VEX Robotics Competition events worldwide. 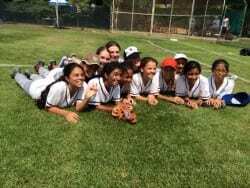 Building on the newfound success by the NIST Falcons, the event is set to grow even further in Bangkok, and they’re eager to take on new challenges at the world championship. For more information about the VEX Robotics Competition, visit roboticseducation.org and robotevents.com. SEAMC is a prestigious regional competition that NIST has taken part in each year since 2012. 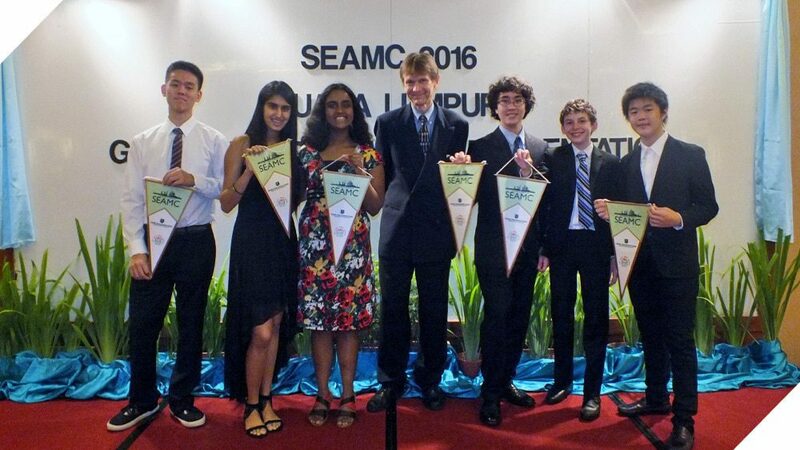 SEAMC 2016 was hosted by the Alice Smith School and Garden International School in Kuala Lumpur from 25-28 February. The annual event includes of a variety of collaborative and competitive activities, including individual rounds, a passback round, math trail, energizer, carousel and long-term questions. Above all, it provides the opportunity for young mathematicians to meet new colleagues, create lasting friendships and enjoy a unique and memorable experience. Steve Warry, a passionate mathematics teacher at Alice Smith School, founded SEAMC in 2001, believing that mathematics competitions should be fun and active events. 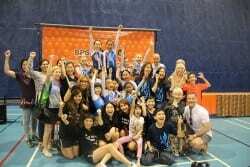 Alexander Templeton, Schwinn Saereesitthipitak, Soichiro Iwamoto, Alisa Khaninya, Hiro Isomura and I represented NIST at this three-day event, accompanied by Mr. Daykin and Khun Kate, and forming two teams: the PerfectionNISTs and the ExpressionNISTs. We were selected to compete in this event based on our ability to effectively solve a wide range of mathematical problems, and to do mental math and apply math in unfamiliar situations. This trip gave us the opportunity to consistently step out of our comfort zone, try new things and learn a lot with other like-minded students. SEAMC is sometimes assumed to be a boring math competition where students go to take more tests, but this perception is all wrong. SEAMC is so much more than that; it combines a variety of activities, all using mathematics but in very different ways, and requiring other skills such as collaboration, team building, spatial awareness, and breaking problems down into smaller tasks. There is also a distinguished guest speaker each year, and this year we were lucky enough to have the opportunity to listen to and question Charlie Gilderdale from the NRICH project at the University of Cambridge. His talk was was very inspiring and interesting, and his perspective on mathematics was incredible and brought about new and fresh ideas to our minds. We found his powerful presentation truly breathtaking. Moreover, some of the most exciting and enjoyable activities for me personally were the math trail and the energizer round. The math trail is an activity in which teams go around the whole school solving different sorts of math problems involving decoding, games, team building and much more. By contrast the energizer is a fast-running working game, with music in the background and students fully focused in collaboration with lots of energy, running to collect each new question and submit each answer as quickly as possible. I especially enjoyed the collaboration and energy of these rounds. Finally, we all enjoyed a beautiful gala dinner on the last night when we could all relax and say farewell to our new friends. SEAMC was a truly memorable experience and has enlightened and inspired us all to develop our mathematical understanding further and apply it to practical problems. We got to meet so many new people and learn so many new things. It was unforgettable. SEAMC is a unique event, and more than can be described in a few words; you must experience it yourself if you have the chance. Thank you to Mr.Daykin for starting this at NIST, and for giving us all this amazing experience. 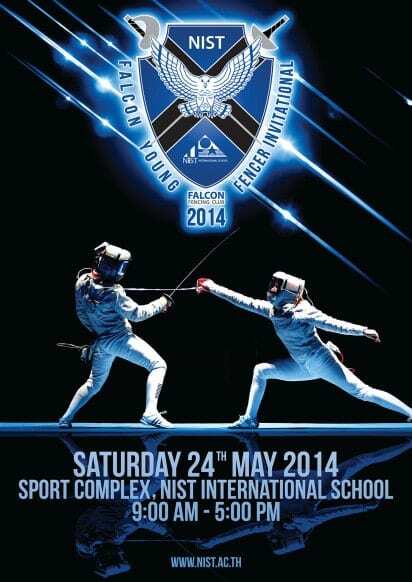 In the first fencing tournament ever held on their home campus, the NIST Falcon Fencing Club team persevered against the odds by earning the highest team score, earning them first place overall at the 2014 Falcon Young Fencer Invitational. Held at the NIST International School’s Sports Complex on Saturday, 24 May 2014, the event attracted over sixty of Thailand’s top young fencers. 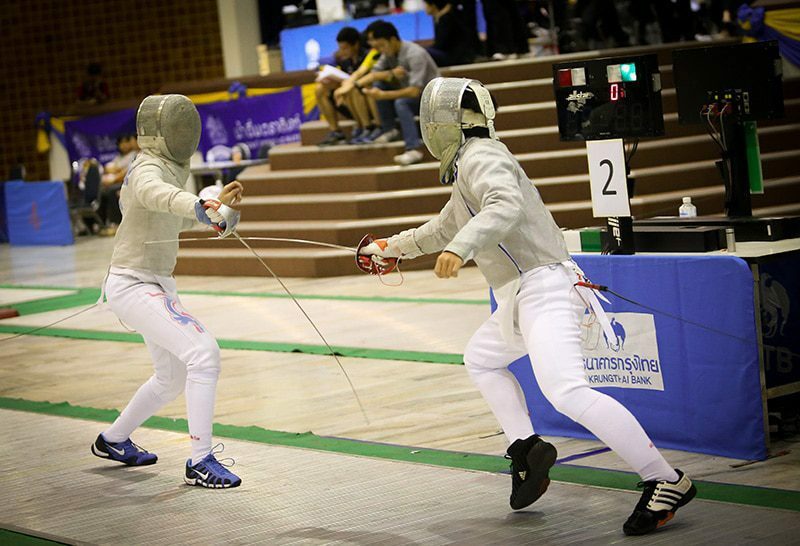 A national event supported by the Amateur Fencing Association of Thailand (AFAT), the competition included only the saber and was divided into 4 age groups: under 10, under 12, under 14 and under 17. 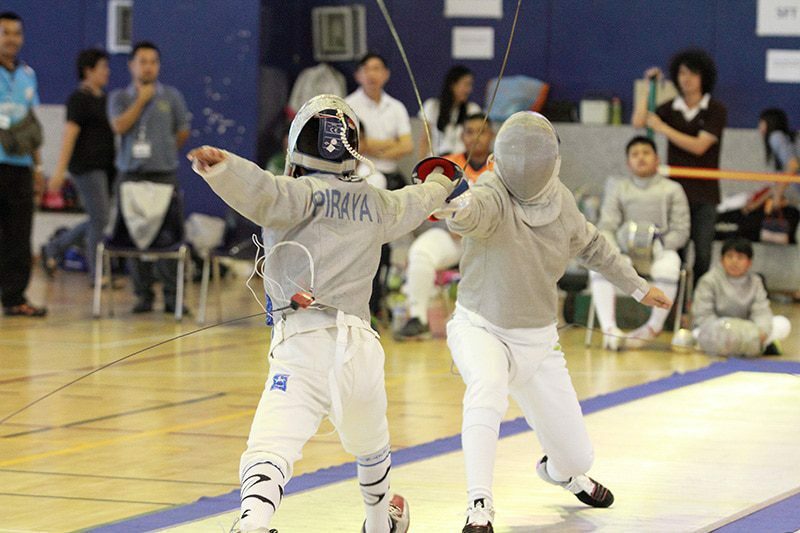 Boy and girl fencers from multiple clubs joined, including several who compete as members of Thailand’s national cadets team. 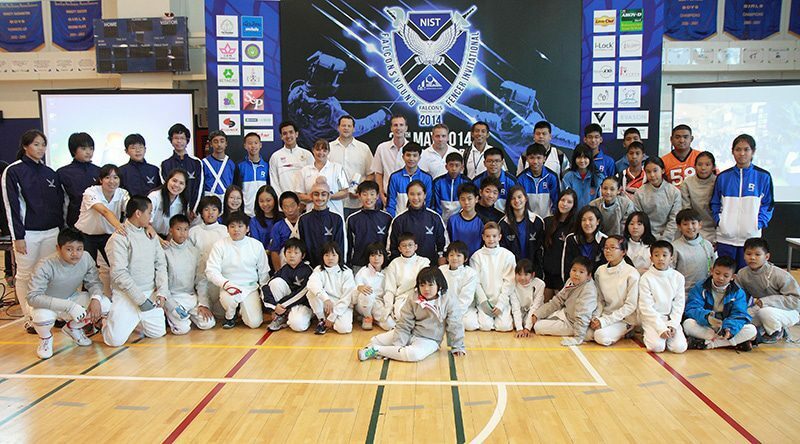 Unlike their more experienced peers, the members of the NIST Falcon Fencing Club represent the first international school fencing club in Thailand. Having become a member of the Amateur Fencing Association of Thailand (AFAT) in July 2013, it now includes over 30 fencers and has quickly gained recognition for its promising athletes, due in large part to the coaching. 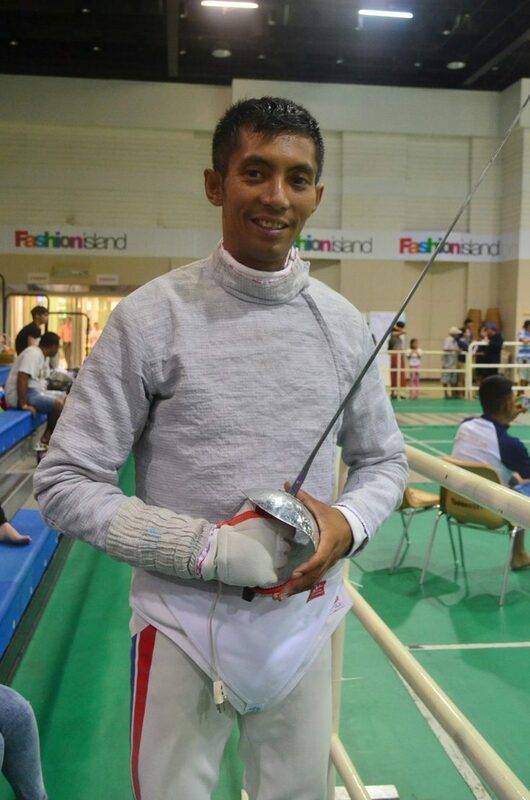 Leading the young Falcons is Head Coach Wiradech (Willi) Kothny, a decorated fencing aficionado who holds the distinction of being the only fencing athlete to win medals for two countries: Germany and Thailand. Willi plans to expand the club in the coming academic year, and will include to include epee dueling. Unlike the sabre, which allows fencers to strike with the edge of the blade, hits with the epee must be with the point. With the Falcons flying to their first major victory at home, they hope to continue making their point in the fencing world. More photos of the event can be viewed on Facebook and Zenfolio. 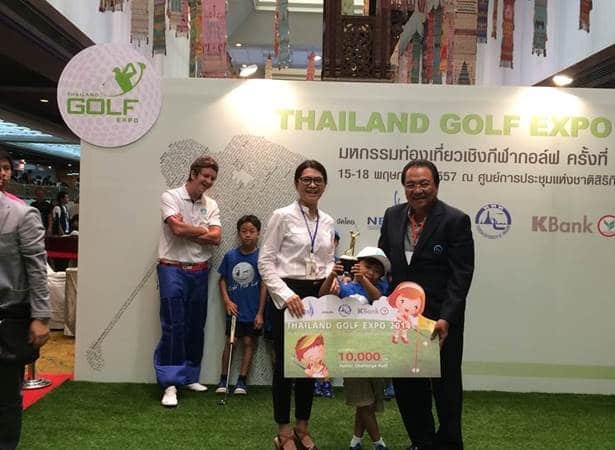 Several young NIST Falcon golfers competed in the 2014 Thailand Golf Expo putting competition for juniors, held from May 15th to 18th. Arthit (Earth) Jeeratunyaskul, a Y1 student, won first prize, getting a hole-in-one shot from 30 feet, and earning 10,000 baht in the process! All of our junior golfers had the opportunity to build their skills and training in preparation for the professional circuit in the future. Thanks to all of our parents supporters and coaches for building a love for the sport in our young Falcons! 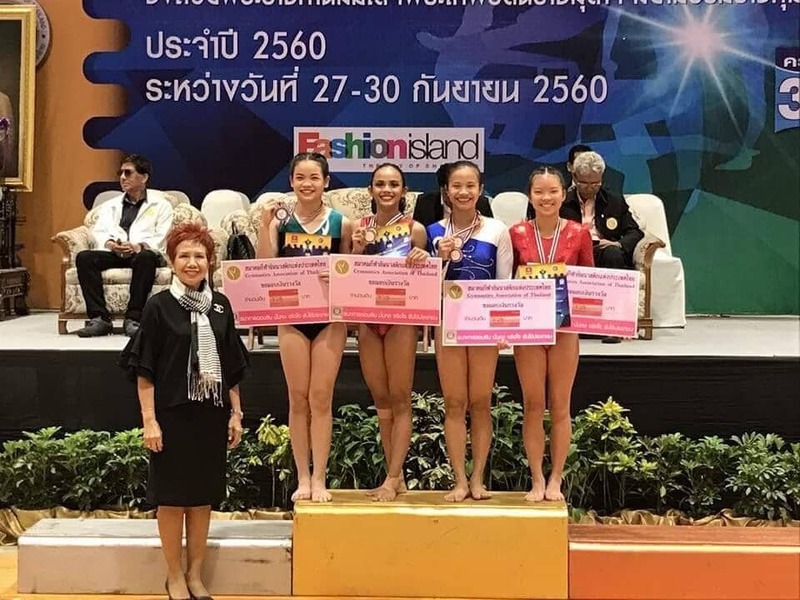 Though Thailand’s tropical climate may make it low on the list for those who follow the sport of figure skating, Thita (Palmy) Lamsam (Year 9) has been busy proving that success on ice is definitely possible despite the heat. Though she’s only 14 years old, Palmy has already earned several major awards and garnered recognition for her talents at the international level. 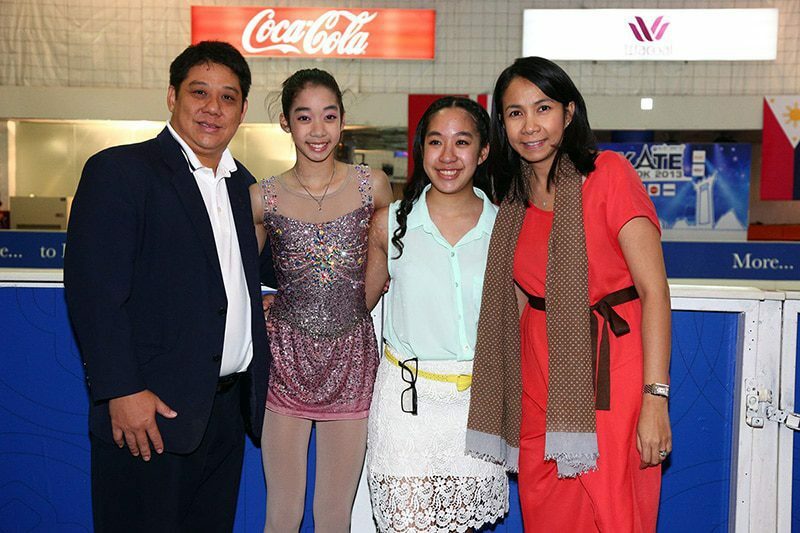 With her skills growing rapidly, there’s little doubt that she has become one of Thailand’s most recognized youth figure skaters. While she has several hobbies, including diving and ballet, Palmy has been passionate about figure skating since she first began learning at seven years old. 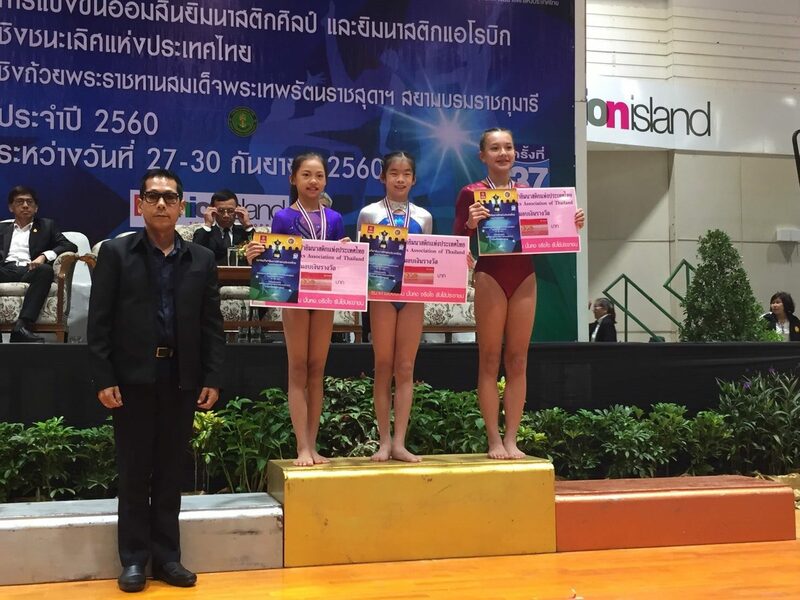 A natural at the sport, she quickly mastered the required skills and earned 1st place (novice level) at the 2012 Thailand National Figure Skating Championships, an impressive feat that she accomplished twice more at the junior level in 2013 and senior level in 2014! 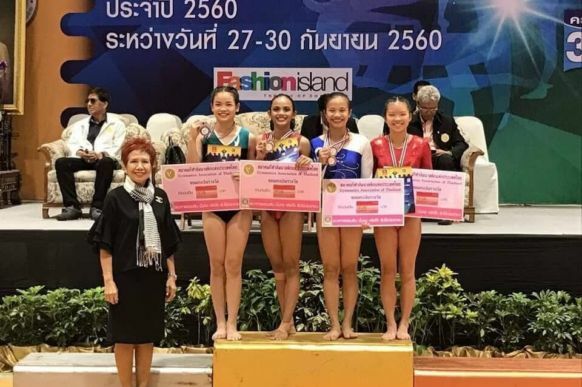 She now represents Thailand as one of seven members of the national team of the Figure & Speed Skating Association of Thailand, from which she earned the distinction of being the first skater to receive the “Best Figure Skater” award. 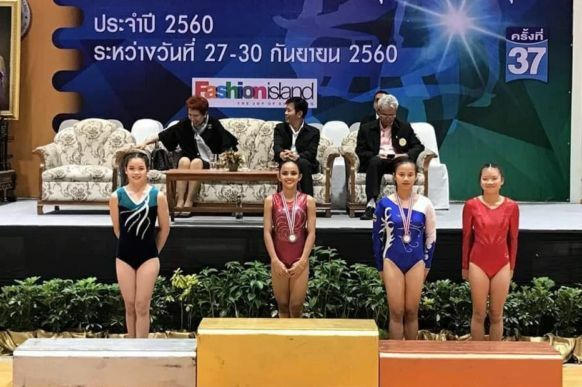 Beyond her accomplishments in Thailand, Palmy has also begun competing at the international level. Following several top-15 finishes in competitions across Europe, she became the first Thai figure skater to earn the minimum score to join the world championships, held in March 2014 in Sofia, Bulgaria. Though Palmy faced far more experienced skaters, she still managed to place 38th. With 3 hours of practice each day and mentoring from coaches Pang Rui, Chrisha Gossard and Anthony Liu–all accomplished, award-winning skaters in their own right–she is expected to only continue improving. Her most recent accomplishment was winning first place at the 2014 Dubai Golden Cup. The event was sanctioned by the International Skating Union (ISU), making it Palmy’s first gold medal in an ISU competition. Her success at this level of competition makes it likely that we eventually see her more at events around the world…and perhaps even the Olympics one day! Congratulations, Palmy, and we look forward to seeing you skate to even greater heights! 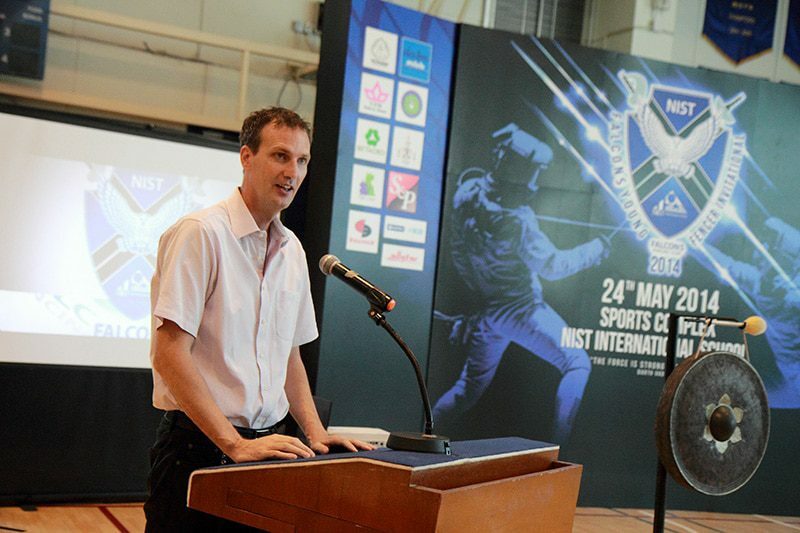 The NIST Falcons wrapped up a full weekend of BISAC sports around Bangkok on Saturday, showcasing the talents of over 320 NIST athletes. 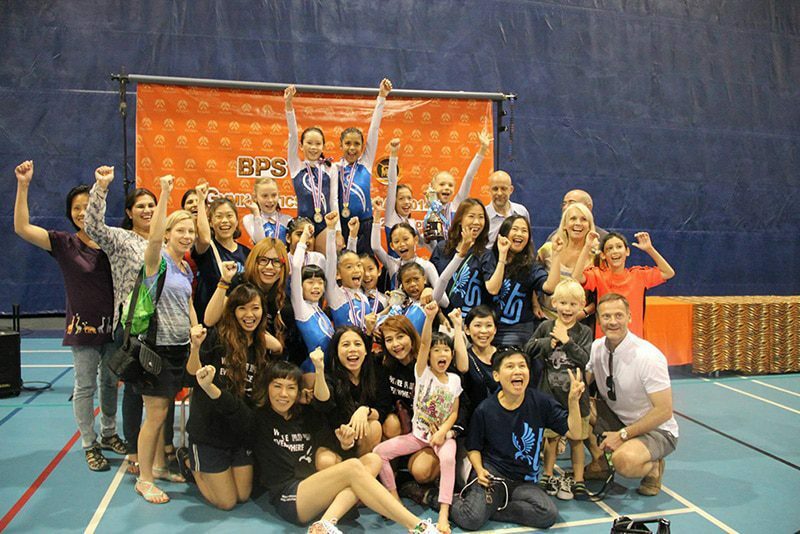 In addition to winning two BISAC volleyball championships, the wonderful team spirit of the Falcon sports teams brought out their best performances and plenty of praise from onlookers. 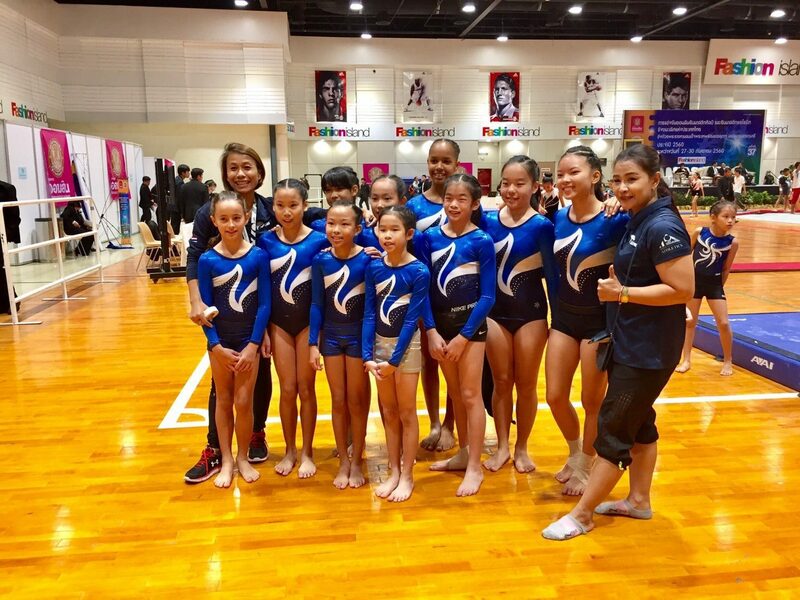 Meanwhile, the Falcon gymnasts had another memorable weekend weekend competing at the SEASAC gymnastics competition, held at Bangkok Patana School from 25–27 April 2014. The Falcons performed amazingly well throughout the competition, winning the level 2 junior and senior, level 4 girls SEASAC team championship and level 1 junior boys team championship, in addition to many outstanding individual results. A big thank you to our excellent coaching team and all the parents who came out to support all of our talented students at NIST and the other hosting schools. And congratulations to all of the Falcon athletes for their hard work, determination and team spirit! Additional photos of the weekend events are available on our Facebook page.